Billy the Kid, a wicket shooter on the croquet court. ABC photo. A list of my favorite sports would quickly get to . . . rugby, horse racing, CROQUET, American football and hockey. 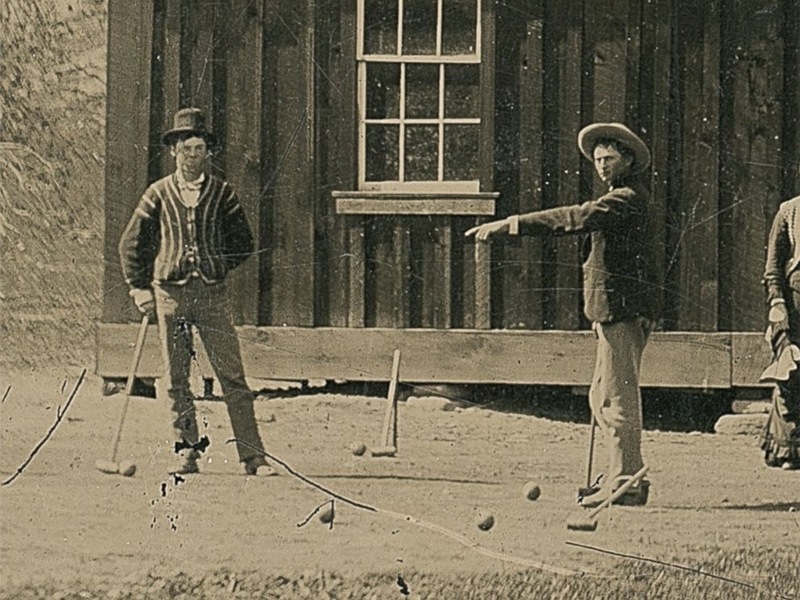 And now comes proof that Billy the Kid was a croquet player. Dress at the next lawn party at the Saul house will follow the fashion dictates of Billy as seen in this photo. Please leave firearms at the door.